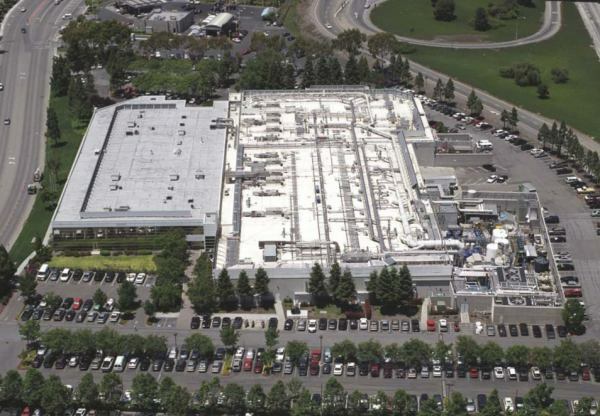 The Western Digital facility was completed in two phases. The front office building roof was replaced with a Cold Process Built Up Roof system and surfaced with ceramic granules. The 51,200 sq ft. section was completely removed down to the plywood deck before the system was installed. To reduce disruption the removal was completed during off hours. The 98,700 sq. ft. manufacturing section was restored with a rubberized emulsion coating reinforced with two plies of polyester and surfaced with a white acrylic coating. This system was selected because of the inability to access roof section blocked by equipment. Over 1,000 penetrations were completely restored before the roof system was applied.